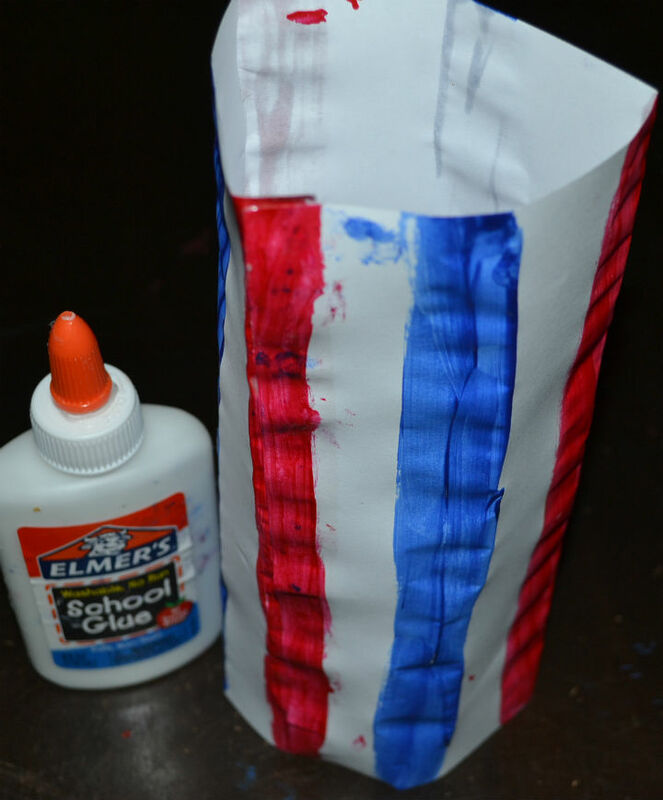 The Coffee Filter Fireworks Craft is super easy and fun. The kids didn’t want to stop making them, but I love coffee so I couldn’t let them use all of my filters! You probably already have all the stuff you need. Just give them some dye coloring or water paints and coffee filters. Don’t forget to cover the tables first! This is a fun holiday activity to do with the kids. It makes a nice decoration for the 4th of July holiday and keeps the kids busy for a bit. 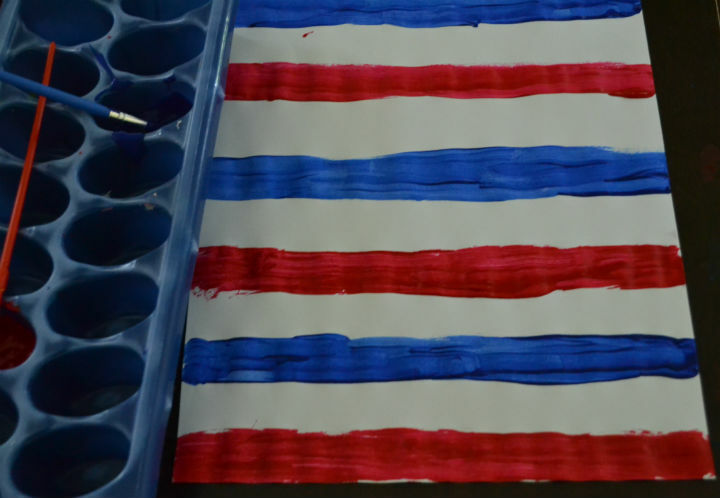 Paint blue and red stripes on the white paper. As a side note, old ice trays make a perfect paint palette. 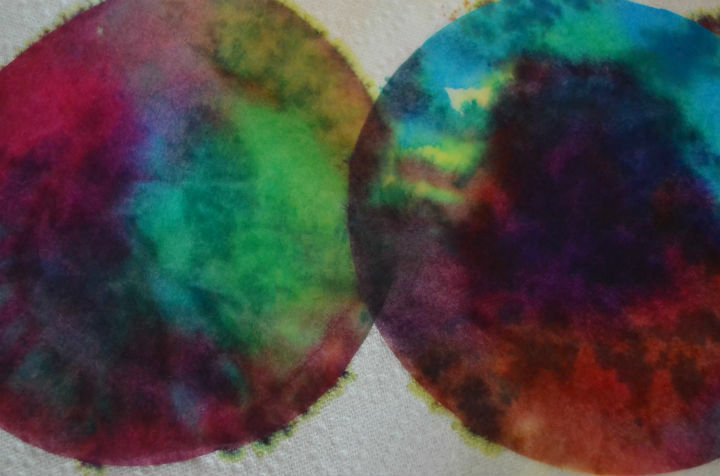 It’s also perfect for when you need to mix colors, because there are plenty of spots for mixing! Put a thin line of glue along the back of one edge of the white paper. Roll the paper to match the other edge to the glue in order to make a cylinder shape. 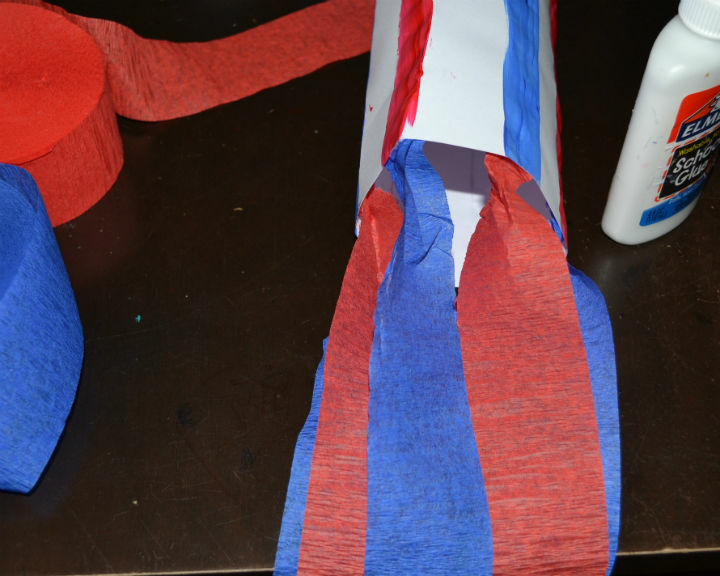 Glue some streamers to the inside bottom of the windsock. 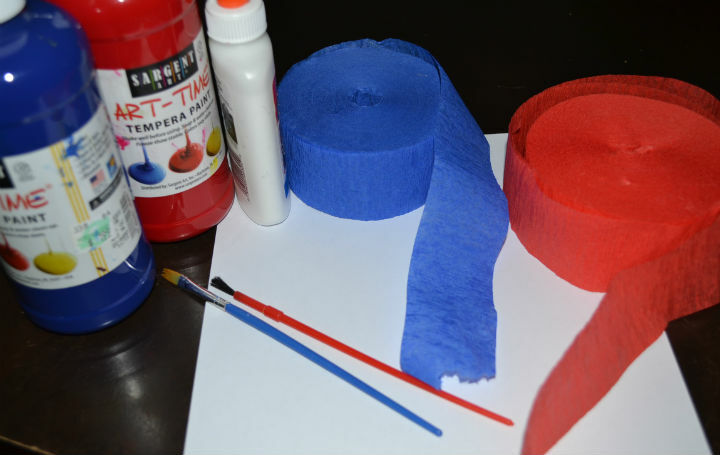 Twist some blue and red streamers together and glue to opposite sides inside the top to make the hanger. 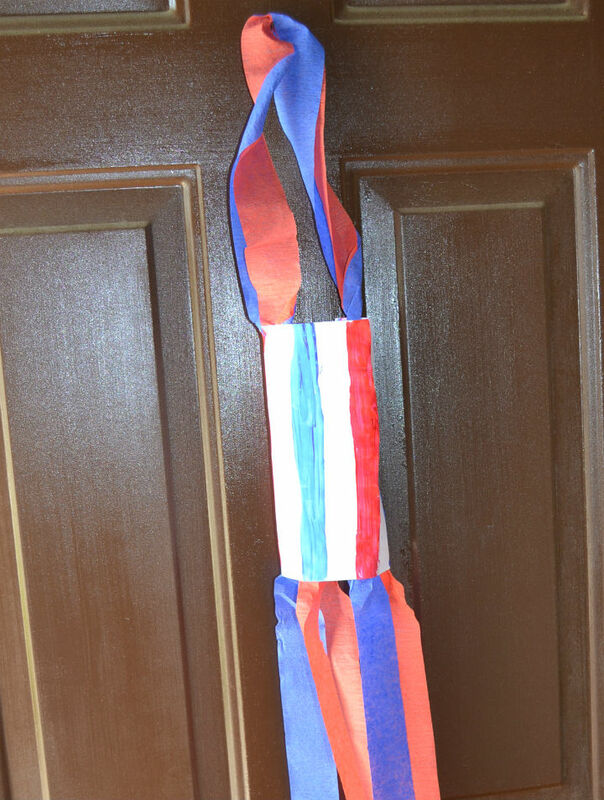 Then hang on your front door or your mailbox for a perfect 4th of July decoration.